Devendra Fadnavis and state BJP chief Raosaheb Danve claimed that their party would win 43 seats. Mumbai: The Shiv Sena has ridiculed the BJP’s claims that it will win 43 out of 48 seats in the state in the forthcoming Lok Sabha polls. Despite its failure to solve various problems that the state is facing, the ruling party is making “wild” statements about winning the polls, the Sena said. “There are many unresolved issues in the state. The Centre has provided inadequate aid to the drought-affected state. The state government crushed the farmers’ daughters’ agitation in Puntamba village by using police force. The onion crop is getting a measly price. The farmers have been hit by the GST on milk. Aspiring teachers are protesting for recruitment. The state government does not have a solution to even one of these problems but the CM has the formula to win 43 out of 48 seats in the state,” the party said in the editorial in its mouthpiece ‘Saamana’ Monday. 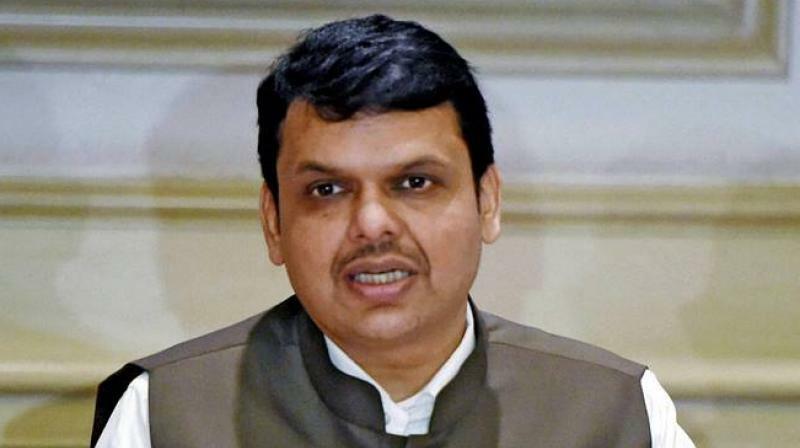 On Saturday, chief minister Devendra Fadnavis and state BJP chief Raosaheb Danve claimed that their party would win 43 seats, one more than in 2014, in the Lok Sabha polls in the state.